Keep track of your recovery from depression. 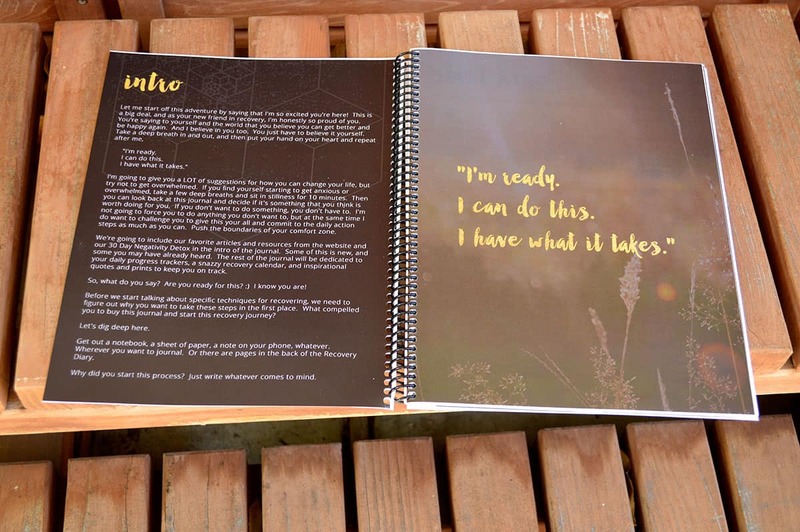 Resilient's Recovery Diary is a daily journal to keep track of your progress in recovering from depression or anxiety (or whatever journey you may be on). 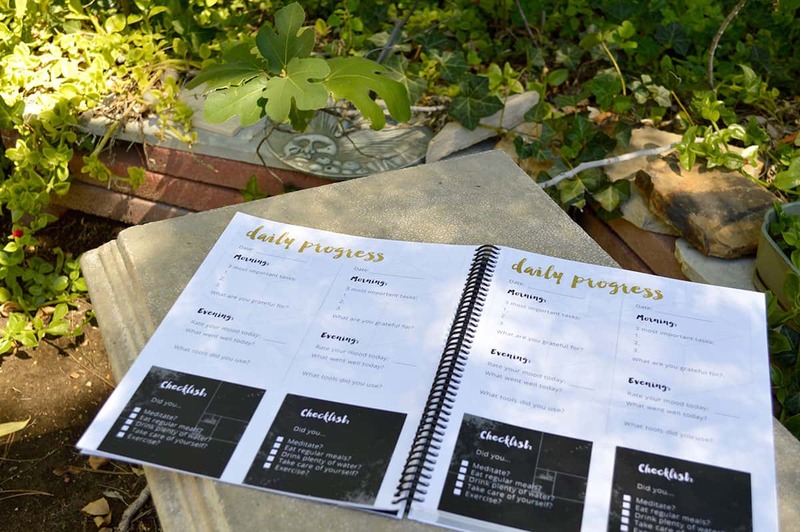 It includes some of our favorite articles from Resilient and the Negativity Detox and 365 daily entries with journal prompts and a checklist to keep you on track with healthy habits. This is what the daily progress tracker looks like. 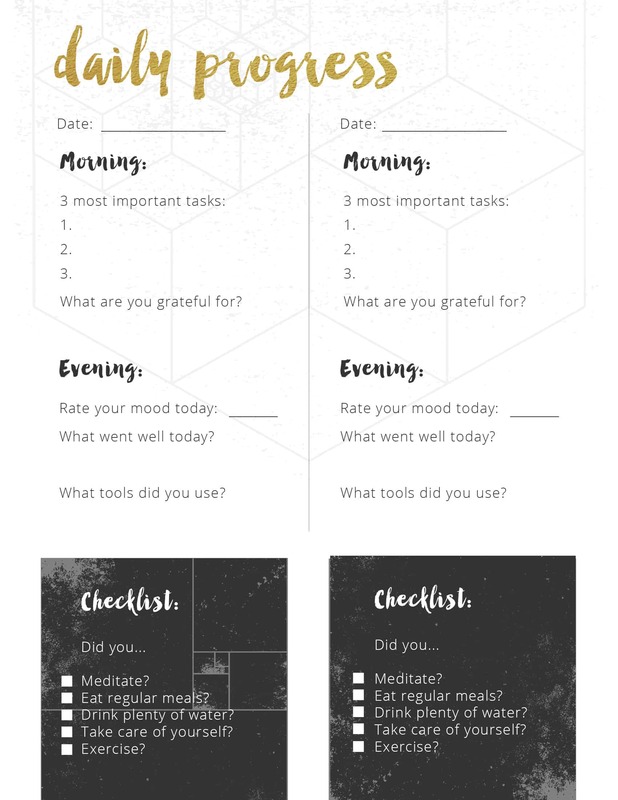 You can use this for tracking your moods, keeping track of healthy habits, writing out your most important tasks for the day, and reminding yourself of what you're grateful for and what went well during your day. You get enough pages of these for a full year. These pages are what makes up the bulk of the Recovery Diary. 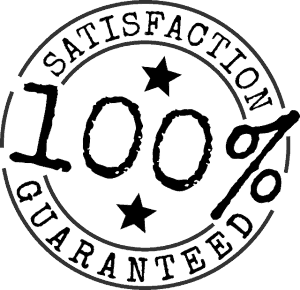 Can be printed or viewed on a computer, phone, or tablet (not fillable).